Home DIY Natural Blog Left Overs Mint Condition – Grow and Use All Types of Mint! Mint Condition – Grow and Use All Types of Mint! I’m a self-proclaimed mint addict. At my herb farm in Old Fort, North Carolina I grow 13 different types of mint. They range from sweet to pungent. It’s one of the easiest herbs to grow and you can do it almost anywhere. C’mon y’all, grow some mint! and most mints are drought tolerant once established, provided they get some moisture every week. Most varieties of mint will survive winter quite well. In colder climates they tend to lose their leaves and hibernate underground until the soil warms up in the spring. Then they go crazy, growing almost overnight. Here in North Carolina, mints stay close to the ground, even changing color in some cases. Orange Mint turns a nice burgundy color during the winter, adding color to a dying landscape. And while the plants are not large, you can still harvest some leaves throughout the year. Mints need space! Grow them in a container or raised bed for best results because they have a tendency to spread and take over. I have Curly Mint in my lawn that smells great when I mow. Can’t beat that! So many types of mint! Chocolate Mint – yes, it smells and tastes like mint chocolate chip ice cream! and of course Spearmint and Peppermint! Pennyroyal Mint – Pennyroyal is a specialty mint most often used for keeping insects off pets. It has a high amount of pugelone, a compound that may cause uterine contractions. For this reason, it should not be used by women that are pregnant or could become pregnant. Most mints are stimulating, but in small amounts are safe for almost everyone. Pennyroyal is the only mint I know of that carries a warning. I’ve ordered more mints, and I guess that exceeds 13, but then, who’s counting? One of the new ones I have coming soon is Candy Cane Mint – you guessed it, it smells and tastes like candy canes, that sweet peppermint that we can never forget. Another is Mojito Mint, with an edge of lime. This one is just right for those cool, delicious summer drinks. And I just got seeds for Lemon Mint. Lemon Mint is not a true mint, but does have similar characteristics. It’s actually a Monarda or Wild Bergamot – still in the family, but not an actual mint. I had a Black Peppermint plant a few years ago, but it died out, and finding a replacement has proven difficult. Some others I’d like to try are Eau de Cologne Mint, Cat Mint, Catnip, Water Mint (the forerunner of Peppermint), Banana Mint and Lavender Mint. I’m sure there are many others that I haven’t mentioned. Maybe someday I’ll have them all! One of my favorite treats is mint chocolate chip ice cream. But even better is an after dinner drink highlighted with mint. Different mints would add different flavors, but for the following recipe I used Curly Mint, which is one of the Spearmints. Drop the bruised mint into a jar and add the alcohol. Shake vigorously. Allow it to sit for a week in the sun, shaking every day. After a week, strain and bottle the alcohol. 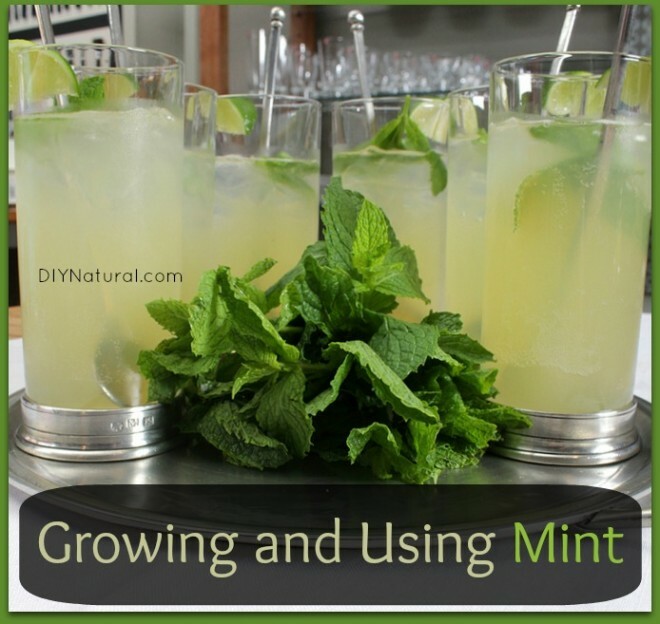 If you want a stronger mint flavor, repeat the process with the same alcohol, but use fresh mint. In a tall glass, add about a tablespoon of organic cane sugar. Dampen it with a bit of water and add mint sprigs along the side. Add crushed ice to the top. Pour about a shot (1.5 ounces – more or less depending on your glass) and then a bit of Crème de Cacao. (If using Chocolate Mint, you can omit the Crème de Cacao.) Top off with some half and half. Upend a glass over the top and shake well. Add a straw and enjoy! This drink doesn’t have a proper name – I made it up one evening when I had a lot of mint left after cutting it for drying. Mint dries very well and can be stored for about a year. Use it in tea, in your cooking, and in soap and other beauty products. Try a few new kinds of mint this season and soon you’ll be in Mint Condition! 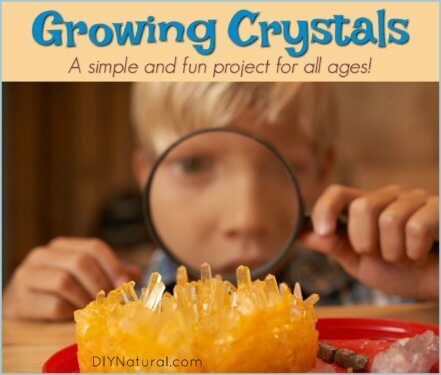 Growing crystals is a fun learning experience, for kids and adults. Learn how to grow crystals that are large, small, in different colors and shapes, and even in geode formations! 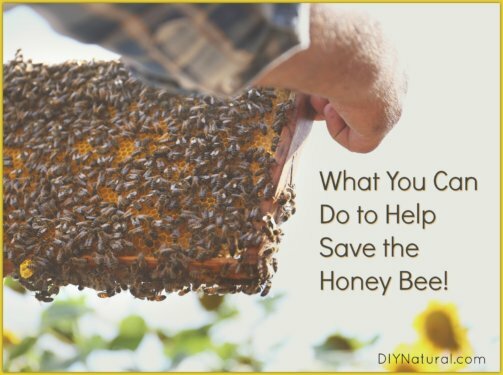 Want to help save bees? Here is a to-do list for every person who cares about saving honey bees but cannot keep bees because of limited time and/or space. Jewelweed is a wild plant that is very useful in treating poison ivy. 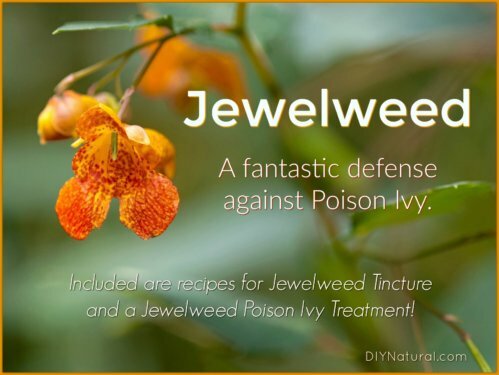 Learn more about the plant, where and when it grows, and enjoy our Jewelweed poison ivy tincture and treatment recipes. Historical Town Seal Key on Main Way is where early flair meets the beach. Temperatures in spring and simply fall make ideal camping weather. I cannot tell you how much I love mint! I would eat it and use it every day if I could. And I love me some spearmint in particular. Sometimes I just smell my spearmint essential oil just because. I think my favorite way to have mint is on the top of some delicious pho. AMAZING! with forty years of gardening under my belt, may I just suggest that mint be grown in containers? It can be very, very invasive, and trying to eradicate it once established can be extremely troublesome. I grew mint on purpose for 1 year, now 5 years later I have been trying to get rid of it. It is in my vegetable garden and it is the biggest weed out there. I do enjoy using it, but not weeding it. Just be carefull where you plant it or it will take over. I have heard if you bury a pot or barrier of some kind (W/drainage), that it will keep your mint contained as the roots cannot spread. Hi – now that you have jump started our passion for “mint” – don’t leave us hanging – let us know where or how to get different varieties of mint. will be a problem but what about “seeds”? I like seeing your ad about sponsoring a child through Compassion International because l have been a sponsor for many years – congratulations – nice to see worth while ads not all that junk we are subjected to. Where do you get your mint or seeds from? I live on a farm in South Australia in an agricultural area, and have a big problem with mice. I have heard that mice are allergic to or dislike peppermint oil, and it is a natural way to keep them at bay. We have been putting peppermint oil in everything, and wiping down shelves and floors with it in an effort to keep them at bay naturally. Is there a specific type of mint that you would recommend to grow as a natural rodent deterrent? And would keeping it as an outdoor or indoor potted plant help, or would using dried mint be more effective? Thanks for the post- very interesting and timely for my predicament! Could someone tell me the best way to “brew” my mint leaves to make a good strong tea? I boil them and I think I’m probably killing all the benefits right out of them. Also, what does it mean to “bruise” your mint leaves? Bruising means to crush them in with something like a muddler. Thanks Matt! He’s right. You can also tear bthe leaves, but muddling is the best bet. It releases the oils in it. When I make tea, I cover the cup with a saucer. That way, no matter how hot the water is, the “good stuff” stays there. Is there a good place to order mint varietals? I only have plain. About dark circles under eyes: This can be caused by illness, such as a sinus infection or allergies or something else. Drinking mint might help, too! If illness is the cause, I am not sure if a topical would be helpful, but perhaps it would! You might check out richters.com , a company in Canada. They have more kinds of mints listed than you can imagine! (They have a search bar in the top right of the page. Just type in “mint” and be amazed.) I’m sure there are other companies, too. Actually, I have an herb farm, and I have many of the mint varieies listed available. One of the eaders here as already contacted me about getting some. You can reach me at earthechoesnc.webs.com. Richter’s Herbs has LOTS of mints. they even have a lavender mint!! The circles under my eyes went away after I started making and eating Beef Liver from grass fed cows. I started eating liver regularly and not only did the dark circles go away but so did my fatigue. Who would have thought!! I just recently read on another blog that if you have dark circles you should mash up some mint and apply to the dark eye area (be careful not to get IN YOUR EYE of course). I haven’t tried it yet but would love to get rid of mine! I haven’t tried it yet either, but I will next time it happens. It probably works because of the tannins in mints. Probably feels great too!